Leaders often suffer from blind spots when it comes to identifying their biggest execution challenges. In fact, almost half of executives tell us that senior leaders at their firms are not aware of critical execution challenges. In our last post, we explored the strategy execution challenges confronting executives at the world’s leading organizations. As part of our development programs, we ask leaders to identify critical execution barriers to real projects, providing a unique window into the challenges that undermine performance. Through our analysis of thousands of those projects from more than 5,000 leaders, we found that just 5 common execution challenges account for 70% of the barriers preventing leaders from achieving their strategic goals. So what is the biggest obstacle that leaders face, and how can they address it? The challenge leaders reported most frequently was having misaligned organizational structure or roles, which for many reasons can get in the way of effective strategy execution. Specifically, leaders cited misaligned business unit structure as the most frequent type of structural misalignment, followed by misaligned functional structure. For example, one leader in a business unit organized around product lines found it difficult to execute customer-centered strategy, because it required coordinating across competing organizational silos whose objectives did not align. How can leaders align the business to support execution of their strategic priorities? One of the key teachings in our Leading Strategic Growth program is that you need to “put up the periscope” and establish a clear “line of sight“ between a) your department’s activities and b) the goals that your organization or business unit is trying to achieve. From the CEO’s perspective, this can mean the difference between a strategy that works and a strategy that gets mired and falls apart. From your department’s or functional area’s perspective, it’s essential for aligning your teams and getting the right kinds of actions. The first step toward developing line of sight is creating a backdrop, by laying out your organizational hierarchy – all the way from you to your organization’s CEO or to your business unit’s general manager. You’ll also need to identify your company’s primary goals – what you or your business unit is trying to do to to win the battle for value creation in its target market(s). Drill even further down by articulating the value that your department or functional area brings to the organization and directly to customers. 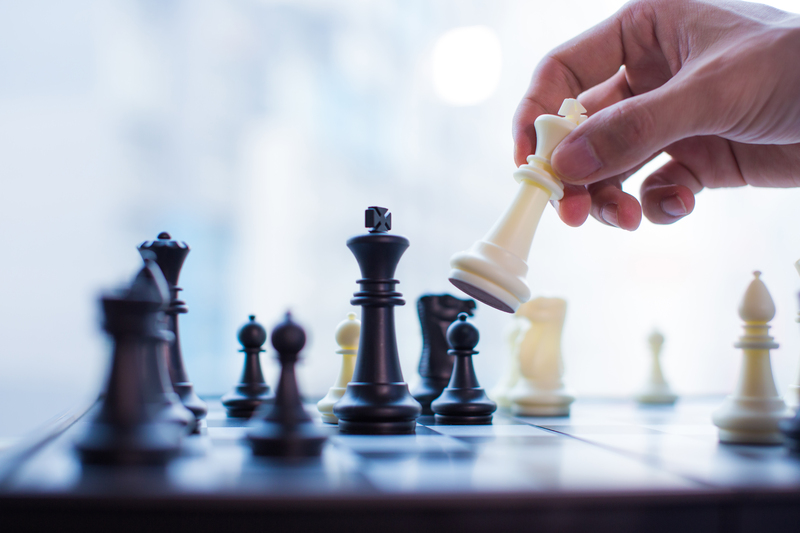 To learn more about how ExecOnline can help your organization create alignment and achieve its strategic objectives, check out our executive development program on Leading Strategic Growth. To learn more about deploying our BlindSpots diagnostic on your team to surface critical execution challenges, email enterpriseproduct@execonline.com.